I was so excited when I heard that Charlotte Tilbury would be releasing a look in a palette. I love all of her products so having something more travel friendly that I could take away with me is perfect. I went straight on the website and pre-ordered the palette straight away. 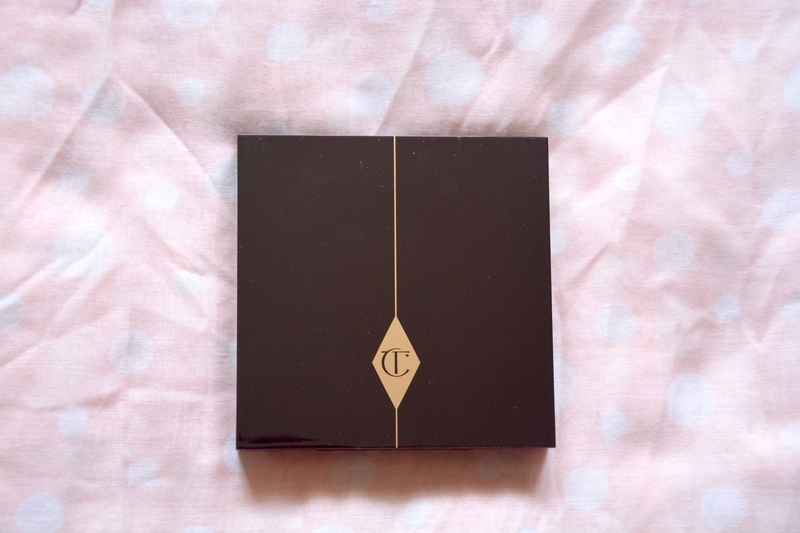 If you pre-ordered the palette you also received a mini size of the new Charlotte Tilbury Legendary Lashes Mascara, so I will do a quick review of this before we get into the palette. Sorry about the lighting in the picture, I found it difficult to get a good shot of the gold packaging. I already enjoy using the Charlotte Tilbury Full Fat Lashes Mascara so I was looking forward to trying out her new formula. Legendary Lashes promises to extend lashes with its elastic formula whilst also separating lashes for a red carpet ready fluttery voluminous look. 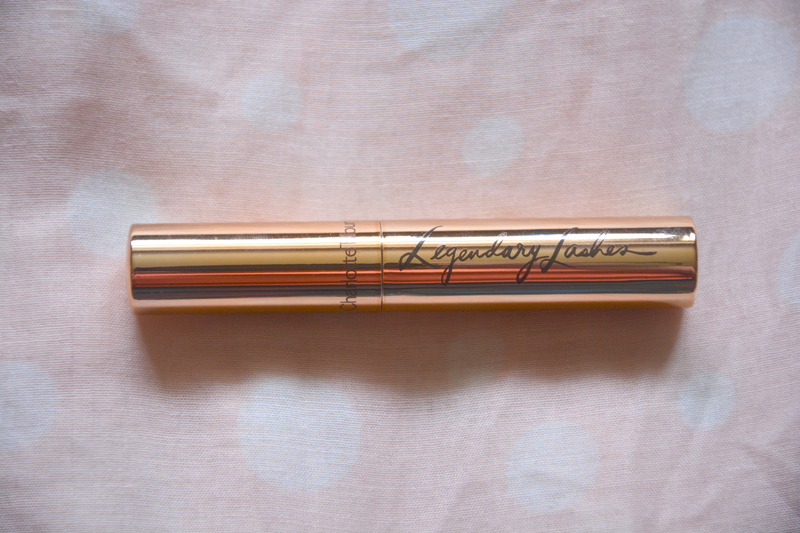 As with the Full Fat Lashes Mascara the Legendary Lashes Mascara has a bristle style wand which is definitely my preference when it comes to mascara wands. The size of the brush is also my preference, it’s not to fat and not to thin. I find using mascaras with fat wands really difficult as I do not have a lot of eye space so end up with it all over my lid and mascara wands that are too thin do not seem to give enough volume. I have only tested the formula on my top lashes as I always use a water-resistant mascara on my bottom lashes so it does not smear. Two coats of mascara gives my lashes the perfect amount of volume and really does make them look fluttery. If I am honest, I have not noticed much of a difference between the two mascaras except the wands are different shapes. They both provide good volume and separation and both wear similarly throughout the day. Overall I prefer the Legendary Lashes Mascara as the wand shape if better suited to my eye shape so I will be purchasing this when I run out. The Legendary Lashes will retail for £25 and will be released on 6th May. Now onto the Instant Look in a Palette. I will start with the packaging. 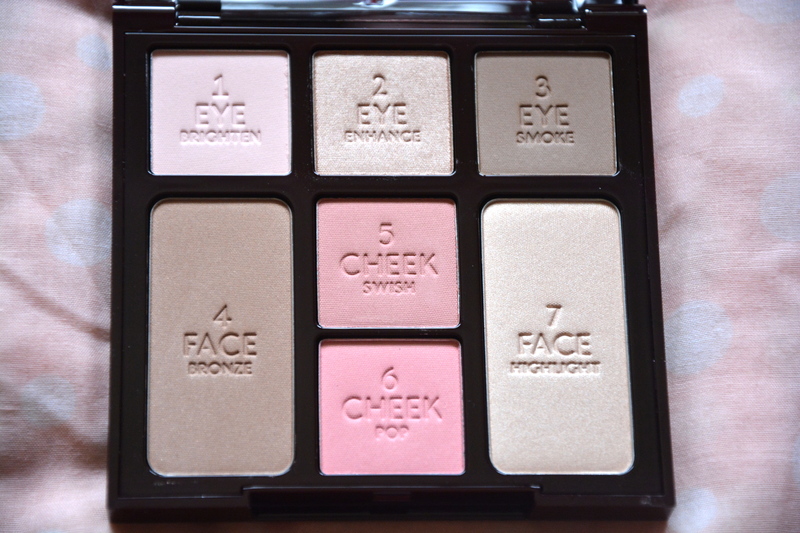 It feels sturdy enough to stop the products from breaking whilst it is in your makeup bag but it is also sleek and light weight – definitely a contender for my new favourite travel palette. 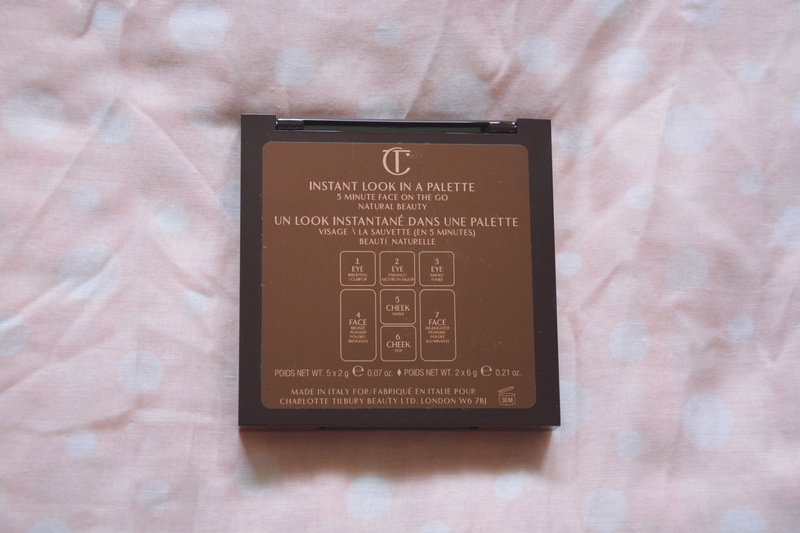 The Instant Look in a Palette contains the famous Bronze and Glow shades which, for me, are the perfect colours to add shape and dimension to my face. I feel the highlight shade is actually more finely milled in this palette so it looks even more natural on the skin. Also for the face there are two shades of blush, a more natural shade to be applied over the apples and swept back to along the cheekbones and a brighter shade for a pop of colour on the apples. The final three products in the palette are for the eyes; a very pale matte pink, a champagne shimmer and a mid-tone neutral matte brown. All three shades are beautifully pigmented and when applied to the lids they last all day. The Instant Look in a Palette provides a natural, yet well put together and polished look. It is perfect for everyday, first dates or I even think this would be a great palette for brides who want a simple elegant look on their special day. Overall I am really pleased I purchased this palette and have been enjoying using it most days. 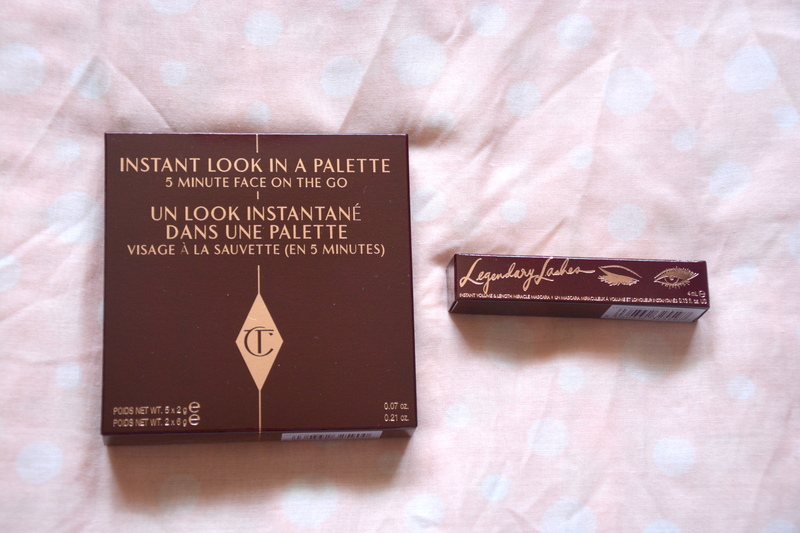 The Instant Look in a Palette retails for £49 and is available here.